Increasingly social networks are playing a central role in social injustice. What role does that hashtag play in cultural movements? Whilst there is a long tradition of innovative social media campaigns being used intelligently by large brands, increasingly social networks are playing a central role in social injustice and cultural movements. Social media is empowering as it gives everyone with internet access, the platform and tools to reach out to the world. Additionally, the introduction of the hashtag can be viewed as an international tool of action. Yet, in many instances, I believe that the keyboard symbol is a passive substitution for activism. While the latest social media innovations can create change for the better, in execution, the ever changing topics divert our attention span and draw our focus to whatever is “trending”, versus what we should feel socially responsible for and passionate about. The #BringBackOurGirls social campaign started gaining momentum quickly, eventually creating waves all over the world. With the topic trending, online action became real, affecting world politics and governments. The hashtag started in Nigeria on April 23rd, referring to the 200 girls who were kidnapped by Nigerian Islamic extremists, Boko Haram. Many of the 200 girls kidnapped have yet to be rescued, with a small number saving themselves from harm when they successfully made a daring escape. Parents and activists wanted to take action into their own hands by raising awareness and putting pressure on the government to do more to find and save the young women. This social campaign was picked up by newspapers and spread globally, leading to more commitment from the ex-president of Nigeria, Goodluck Jonathan, in providing resources for the search of the girls. International publications additionally came to the aid of their Nigerian counterparts, with the #BringBackOurGirls hashtag being featured by press in several countries including France, the U.S. and the UK. Starting in Nigeria, then spreading within Africa, and then jumping across oceans to get up to 200,000 mentions daily, the simple hashtag encapsulated a story and a cause. Celebrities like Anne Hathaway and political figures like Michelle Obama joined in on Twitter, and only 2 weeks after the hashtag began, it was mentioned 2 million times. However, the momentum of the campaign has since slowed considerably, with personalities, celebrities, political figures and everyday people being distracted by the numerous other social campaigns and trends occurring offline and in cyberspace. Similarly, the political trend known as #JeSuisCharlie became one of the most popular hashtags in Twitter’s history. The attack on the Charlie Hebdo satirical publication in January 2015 sparked this hashtag into being. The hashtag displayed solidarity with the victims and their families and showed support of freedom of speech. Rallies in support of the hashtag and freedom of speech have been seen in France and other cities in Europe. The unofficial slogan for freedom of speech has demonstrators all over the world raising the hashtag as a symbol. This famous hashtag led to Google’s Digital Press Fund donating €250,000, media outlets providing computers and a place to work, and printing companies waiving costs. 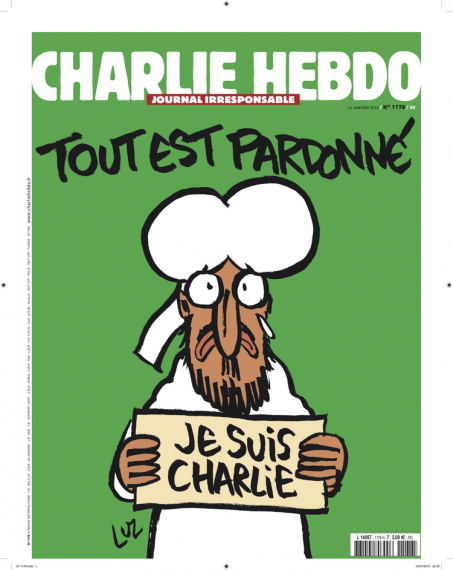 Charlie Hebdo’s magazine printed one million copies only one week after the incident. These hashtags seemed to be the start of large social media driven movements. While both of these hashtags deserve credit in furthering awareness, forcing the hand of governments and displaying universal empathy and sympathy, in the end, something more than a hashtag is needed. #BringBackOurGirls succeeded in raising awareness and support for the cause, but the hashtag has ultimately failed, as a majority of the girls have yet to be found. As is indicative of our attention span’s, the trend is dying down after its momentous peak, and not nearly as many people seem to be as involved in the social media campaign. #JeSuisCharlie is now a phrase representing a historically controversial topic, freedom of speech, but social media users have gradually moved on to the next tragedy and have left the Charlie hashtag behind. This is not to say that world problems can be solved with a simple hashtag. However, as we gradually move towards a digitally led environment, with governmental elections being duked out on social media and charities able to raise millions for their cause (a la the ALS bucket challenge), one would think and hope that more could be done through these simple social channels that could truly make the difference in certain instances. Social media seems to boast that it is more than a shallow and selfish platform, that it is a place for people to come together in order to have an impact in the world, but this is not the complete truth. While it is incredible that we have so many ways to connect with one another, eliminating physical and global boundaries, it is a shame that more often than not, the latest celebrity scandal takes priority over a recent disaster or tragedy. And I too am guilty of being self-indulgent on social media. Sometimes I can’t help myself. Social media is making self-branding the user’s priority: cynically, using a trending hashtag allows you to appear others knowledgeable and passionate… or maybe the user truly believes in the power of the hashtag to enact lasting change and make a difference. In most cases, the use of the hashtag is about keeping up with social media and the trends that come in and out of vogue, and this is why people lose site of particular goals. A hashtag is good for the first steps in a cause, but what makes the true difference is how that growth in support is utilised. This is the main problem with social media, by the time a foundation has been built for a cause, with awareness, supporters and aid, the next trending topic is vying for and refocusing users’ attention. Social media can be useful in initiating change, but with the amount of content online, combined with our short attention spans, society quickly moves onto the next trend forgetting about the change that was intended. Empty online activism is alive and well.